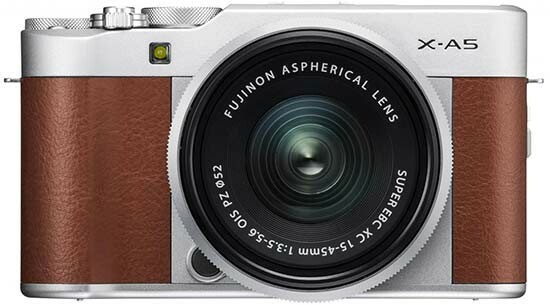 The new Fujifilm X-A5 replaces the 18-month-old Fujifilm X-A3, which used to be Fuji's entry-level X-Series camera until the X-A10 was launched. For consistency, we’ll maintain the X-A5 as an entry-level camera. So what is new 18-months on? Not as much as we would hope. 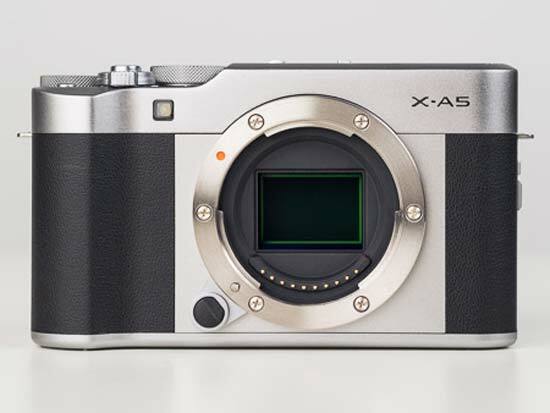 The sensor is a refined version of the 24.2MP APS-C sensor of the X-A3, with an updated image processor. It’s not the same as the X-Trans sensor used in Fujifilm’s high-end X-Series cameras. An updated sensor means an extra stop in the native ISO range, which now reaches to ISO 12,800 and can be extended up to ISO 51,200. So while not breaking new ground, there should be minor improvements in image quality, backed up by 1.5x quicker processing speeds. On paper, perhaps the most significant improvement is the new autofocus system. The X-A5 features hybrid AF, meaning you have both contrast and phase detection AF points in play. It’s a 91-point-array that is simpler than those found in high-end X-Series cameras, yet more comprehensive than in the X-A3. One should expect a much better focusing experience shooting with the X-A5 than the X-A3 and we’ll comment on our experience later in the review. 4K video recording is now included in the X-A5. We should say though that the maximum frame rate is 15fps and the less said about that the better. Also, the maximum record time is around 5 minutes. That’s less of an issue for us than the severely limited frame rate, because we don’t often shoot single clips longer than 5 minutes. However, the improved 4K video resolution opens up two new shooting modes; 4K Burst Shooting and Multi Focus Mode. The new 4K Burst Shooting mode is essentially a regular 15fps 4K video, but in this mode the user can extract an 8.3MP still image from any one of those frames. The X-A5 is the latest camera to benefit from Wi-Fi and Bluetooth wireless connections. The latter consumes much less power. While on power, the battery life has been upped from 410 frames in the X-A3 to 450 frames. For an entry-level mirrorless camera, that performance is very good and from what we can tell is the highest from an X-Series camera. That’s the main ins and outs of the Fujifilm X-A5. It is available now in black, brown or pink for £549 / $599 with the new XC 15-45mm f/3.5-5.6 OIS PZ lens. 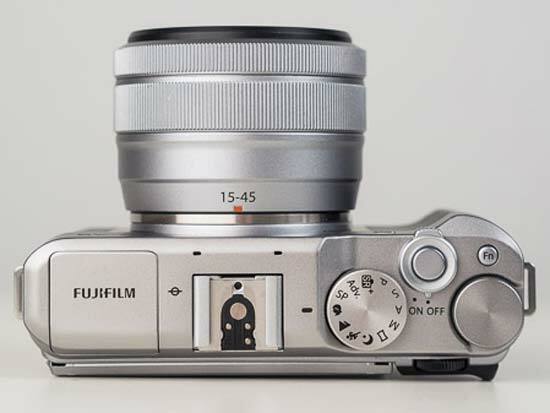 A first look at the Fujifilm X-A5 and we are hooked. It’s a lovely looking camera - we really do not expect anything less from Fuji. A silver top plate slopes down to hold chunky dials that sit flush in the camera’s profile. The faux-leather finish in black, brown or pink looks great, while the sweeping curve of the hand grip not only looks the part but offers a firm hold. With the new XC 15-45mm f/3.5-5.6 kit lens attached (the smallest X-Series zoom lens available) or a compact prime lens like the XF 35mm f/2 R WR, you have a camera that sits perfectly in the hand. Start to feel your way around the camera and things begin to unravel a little. Of course the X-A5 is plastic - it is an entry-level camera after all - but in places it feels plasticky. There is a difference. Tap the camera’s silver plating plus it’s battery compartment and it feels hollow. Push in the shutter release and the buttons on the camera’s rear and they all feel 'clicky'. We’ve used other entry-level cameras made from plastic that at least feel a little more durable, with buttons that are nicely dampened. Not so here. That said, other controls handle well. The chunky dials are solid and offer perfect resistance. The HDMI port on the side is really smart. You also get a mic port which is less common on entry-level cameras, though it is a 2.5mm mini jack not the industry standard size. Then there is the operational speed. Some of the Fujifilm X-Series cameras operate at lightning speed - think of the Fujifilm X100F for example. The X-A5 is sluggish in comparison. Start up speed is fine - it’s 0.4 seconds when the high performance mode is ON. However, select an option in the menu and the camera takes its time to confirm selection. Frankly, it does not respond like a camera of 2018. The general operational speed is for us our least favourite aspect of the X-A5. Still, at least there is this new 91-point hybrid AF system. Fuji claims it is twice the speed of the contrast detection AF system of the X-A3. Now, we haven’t had the X-A5 and X-A3 together to make a direct comparison, but our expectations in this latest model were not really met. It doesn’t feel like the X-A5 features phase detection AF. General AF speed in the Wide/ Tracking AF Mode still seems sluggish and at times unreliable. We had the Olympus PEN E-PL9 at the same time, which focuses quicker. That said, we found the most joy using the Zone AF Mode. The small wheel by the thumb grip switches between the zone covering 9, 25 or 49 of the 91 AF points, while the control pad shifts the zone. It’s the right mix of precision and flexibility. Together the wheel and control pad operate really well for Zone AF Mode. There is also the full array of face/ eye/ right eye/ left eye priority detection settings available in this mode. Images are composed and viewed using the 3in touchscreen. 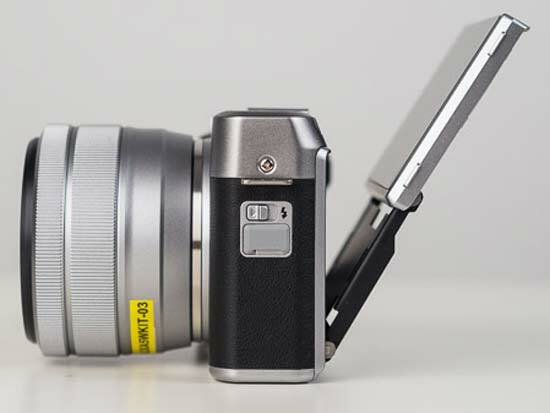 It tilts up 180° to above the camera for selfies and the like, with a little slide to increase its final clearance above the top plate of the camera. Tilt down is limited by the design, so the X-A5 is less useful for above head shots. Overall, the touchscreen handles fine. You get touch shutter, touch AF, pinch to zoom for live view magnification and image playback. There is also quick access to a couple of user controls on the touchscreen. 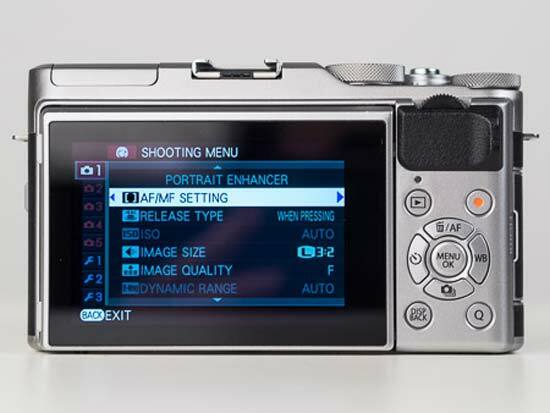 Whereas the Fujifilm X-A3 features a switch on its front for Focus Mode, the same control is omitted in the X-A5 and instead presented on the touchscreen. In use, the touchscreen is a quicker method. We loaded the Fujifilm Camera Remote App to establish a wireless connection. It was not possible to get a wireless communication running at all with iPhone, it just didn’t work. We moved on to an Android phone and the connection seemed to work quite well. Your experience may vary. The app has a solid set of features. With the Android phone we’ve wirelessly shared images and taken pictures and the response is good. Elsewhere, the Fujifilm X-A5 has a rather solid feature set that will please photographers of all skill levels. There are plenty of manual exposure control quick to hand, plus beginner-friendly picture effects. Also, there are a stack of bracketing modes to choose from in the drive mode menu that are likely to please photography enthusiasts. Each bracketing mode takes three consecutive pictures at different values. These include auto exposure, film simulation, dynamic range, ISO sensitivity and White Balance. 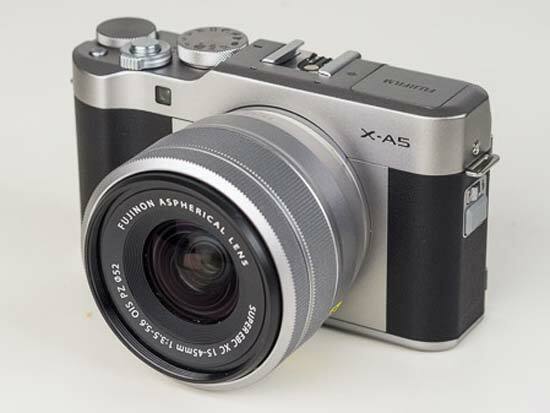 Really, a part of our experience handling the X-A5 was one of learning to live with some of its limitations. In some areas the X-A5 handles fine, in others such as its overall speed, it frustrates, so there is room for realistic improvement.